Is My Neck Pain Caused by Poor Posture? 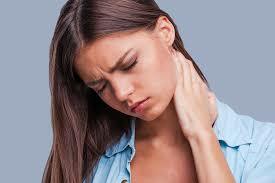 Neck pain can be caused for a number of reasons. It is crucial to maintain your neck curvature in order to avoid strain on the neck muscles. When you slouch forward, that puts a considerable amount of pressure on your neck muscles, and if this posture continues for long periods of time, it can lead to chronic neck/back pain and other debilitating symptoms. What is the posture that causes this pain? Sitting in front of the computer with your head and shoulders jutted forward and mid back hunched, for prolonged periods of time and on a regular basis, puts a strain on your soft tissues and results in pain. What can you do to avoid or manage postural neck pain? Start with the basic- attain a good posture, and make it a habit. Have your desk measured and set up to fit you. Take frequent breaks from staring at your screen. Do some basic range of motion, posture correction stretches. Consult your Physical Therapist and have your posture assessed.